But what is hyper-local sourcing? What does it mean to source ingredients hyper-locally, and how can restaurants and foodservice operations in Virginia, Maryland, and the Washington, D.C. area capitalize on this trend in new ways. For starters, hyper-local sourcing means getting your ingredients from sources as close to the kitchen as possible. The closer guests consume food to where producers grow or raise it, the better, according to the trendsetters. What this means from an operational standpoint is more and more restaurants and foodservice operations are creating gardens or are raising their own livestock. In some cases, a restaurant's garden might even be out next to the parking lot. Whether it's fresh garlic used in a pasta dish or homegrown herbs used in a cocktail, operations committed to hyper-local sourcing show a commitment to controlling quality, a commitment to the environment by eliminated shipping needs, and they're even showing a commitment to controlling costs. What about building a garden in your commercial kitchen? If operations are committed to hyper-local sourcing but they don't have the space or resources to create their own gardens outside the facility, why not bring that garden inside? That's exactly what many operators are doing. The Carter-Hoffmann company created a new system for growing herbs and vegetables inside. 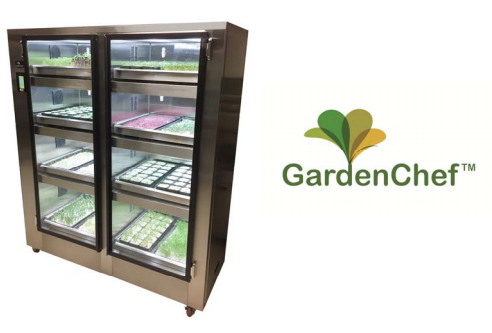 The GardenChef Growing Cabinet allows operators to grow organic ingredients with maximum flavor and nutritional value right next to the places where those ingredients are cooked. Units are fully-automated and control light, water, and air circulation in order to create ideal growing environments. With 39 pre-programmed cycles, it's easy to set up a successful growing plan for the most common types of greens including lettuces, microgreens, herms, and more. Ready to take advantage of this top food trend? 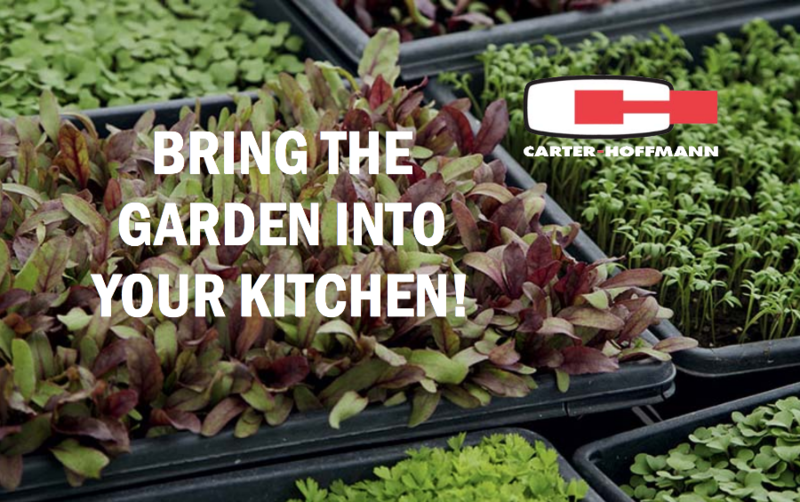 Learn more about the Carter-Hoffmann GardenChef Growing Cabinet, or schedule some time for a quick assessment on whether or not this trendsetting unit would be a good fit in your operation.